Following a nonbinding vote in the EU Parliament to recognize Juan Guaido last week, foreign ministers from the various EU countries discussed officially recognizing the leader Venezuela's opposition-dominated National Assembly as the true legitimate leader of the struggling socialist-dominated dictatorship. 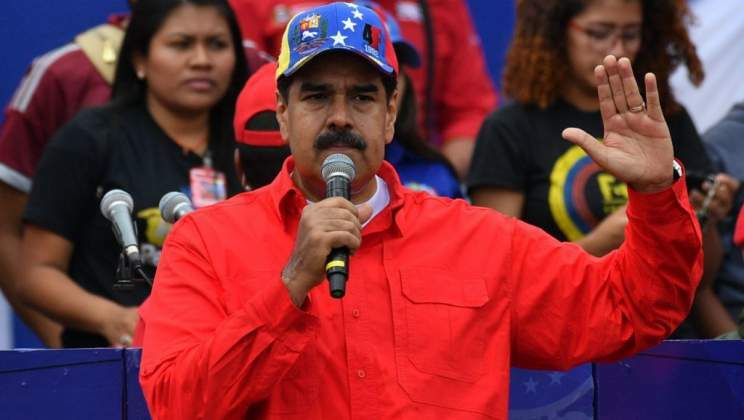 While the US has pledged its "full support" of Guaido, Russia, China, Iran and Turkey have all denounced this meddling in Venezuelan affairs and have continued to back Maduro. Maduro rejected an ultimatum, delivered by the four EU members who recognized his rival on Monday, to call for democratic elections or lose their support. However, he did offer a small "concession" by suggesting that elections for the assembly be held earlier than 2020, saying that the assembly - the locus of opposition to Maduro's rule - must be "re-legitimized."